I understand that Muslims are supposed to pray 5 times a day, and every time you are supposed to do the Salat and face towards the Kaaba in Mecca. I'm wondering, is it essential to pray towards Mecca? In Catholicism, when we go to church we pray towards the Eucharist and the Tabernacle, because we believe that the tabernacle contains God and the Eucharist IS God. However if we are out on the street or at home or anywhere other than church, we don't feel the need to pray in any particular direction, because we believe that God is everywhere (omnipresent), and knows everything (omniscient) including our prayers and thoughts, therefore he will hear anything we pray regardless of what direction we are facing at the time. I'm wondering if this is possible in Islam? Can you just fire off a few quick prayers without turning to face the Kaaba every time? For example a Christian might be sitting an exam; as they enter the exam room and take their seat they might close their eyes and pray a quick prayer asking for God to give them strength and Wisdom and Grace and bless their performance in this exam. Could a Muslim do this same thing? Or would they have to leave their seat and face Mecca for their prayer to be heard by God? Facing the direction of prayer (qibla) is a necessary condition for the prayer's validity, with the sole exceptions of praying in extreme peril (dis: f16.S) and nonobligatory prayers performed while travelling. As cited in another answer, islamQA lists exceptions to when the qibla need not be upheld as well. At least part of the hanafi school considers it an obligation to keep the qibla even while praying on a train that changes direction. Generally, there is consensus among all schools of law that facing towards the Kaaba with reasonable accuracy is an essential part of the mentioned prayers. The direction of prayer ("qibla") was initially Jerusalem (towards the temple mount) and was later in the life of Muhammad changed to Mecca (towards the Kaaba - named the "sacred mosque" in the quran). The idea behind the qibla is not that Allah resides in a certain place - this would in fact be disbelief, since Allah is considered to occupy neither space nor time - but as a reminder of Ibrahim (Abraham - here from a shia reference), who is considered one of the great prophets, and as a symbol of unity. In Islamic lore, Ibrahim is considered to have built the Kaaba with his son Ishmael following a command of Allah to do so. It is also considered the first house of worship by the Quran. Other than ritual prayers, any supplications (du'a) and remembrances (dhikr) can be made regardless of where one is facing, or positioning of the body, or ritual purity; some of the ad'iyah (plural of du'a) and adkar (plural of dhikr) found in the sunnah do come with certain recommended gestures etc. however. Salah (ritual act of worship) is always performed while facing towards the Kaaba (few exceptions in extraordinary circumstances: source). Dua(personal invocations to God) and Zikr(uttering phrases to remember and praise God) may be done while facing in any direction. Generally prayers(meaning dua: asking Allah for help) can be done in any direction. But Salah (Which is the formal prayer, and must be done 5 times a day) has to be towards the Kaaba approximately but in times of necessity like being in plan etc its not obliged. It does not mean God is there in Kaaba, it is disbelief to believe so. Its a command from Allah and we follow it. And there are many reasons we can think of why is it so such as unity etc. But We do it because we are commanded to do so by Allah. Allah is all knowing and all aware of everything, and nothing takes place but with His command. And He is above His Throne as befits His Majesty and His Throne is above the heavens. Yes, it is most preferable to face towards holy Kabah while praying from anywhere in the world. When Muhammad(PBUH) was sent as prophet in Mecca and in the early days, Muslims used to face towards Bait-Al-Maqdis mosque in Jerusalem which is different in direction in regards to holy Kabah. Then, after sometime, the qibla was changed by Allah towards holy Kabah. Look at Quranic chapter 2 for repetitive verses and its beauty in which Allah describes a lot about this change in direction. I think the direction isn't a matter if you don't/can't find out the right direction towards kabah or if some explicit forces forbid you to pray. In this case, it may be valid that you pray regardless of facing qibla. Allah knows best. Can you just fire off a few quick prayers without turning to face the Kaaba every time? For example a Christian might be sitting an exam; as they enter the exam room and take their seat they might close their eyes and pray a quick prayer asking for God to give them strength and Wisdom and Grace and bless their performance in this exam. Could a Muslim do this same thing? Or would they have to leave their seat and face Mecca for their prayer to be heard by God? Regarding this, it is preferable only for Salaat (Salah/Salaat) prayer that you face qibla. Other than that, for mere supplications, he may sit anywhere (ex. exam hall) and start asking God for goodness in the activity he undertakes. He doesn't need to face towards qibla for this. Not the answer you're looking for? Browse other questions tagged salat christianity kaabah qiblah or ask your own question. 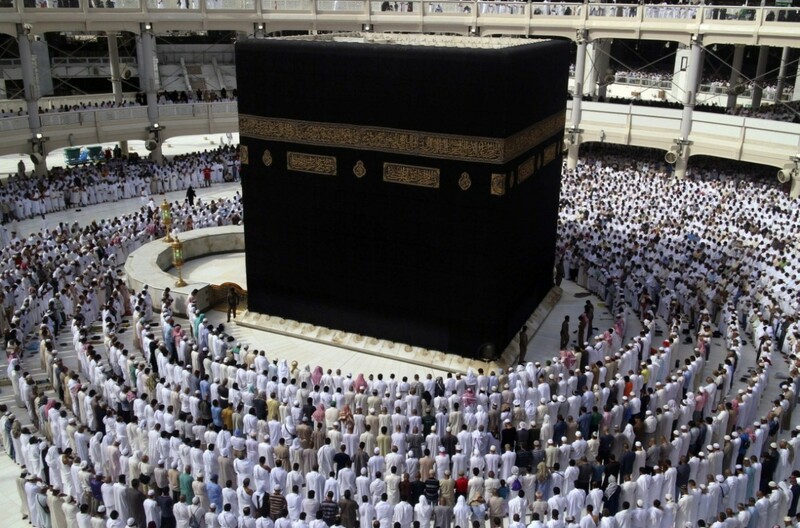 What is the significance of facing the Kabbah during prayer when the Earth is round? What is the correct tolerance for qiblah? Does praying the Salat express agreement with all aspects of Islam? Is joining Maghrib and Isha salah together everyday for 2 months allowed?